The mental zone of face beneath the lower lip is categorized by the mental protuberance or mentum. It is a special structure found in human beings. Alternative expressions for mental protuberance are mental process and protuberantia mentalis. 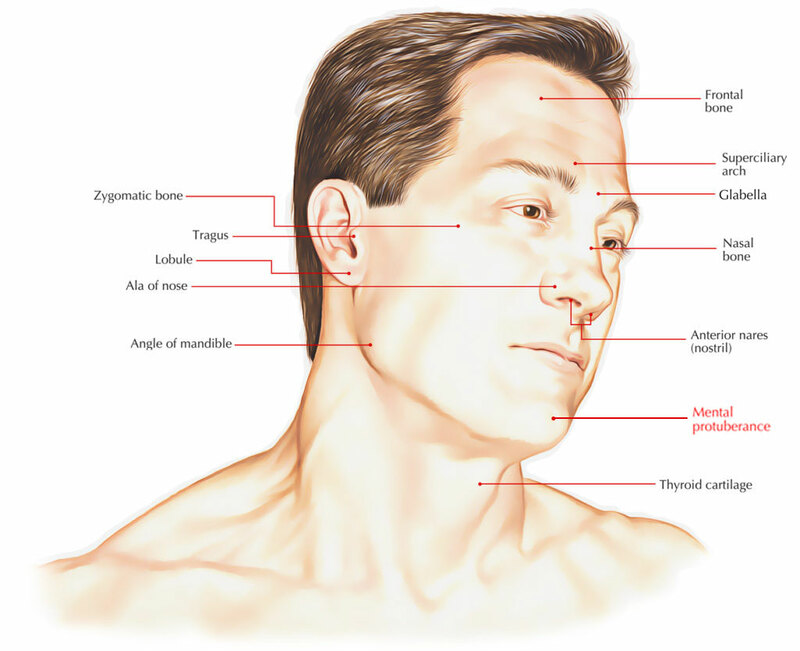 • The mental protuberance is located on the midline in the middle of the two mental tubercles but is approximately 10 mm superior on its anterior surface of the base of the mandible where the two sides of the mandible converge. • Two mental tubercles and one mental protuberance create the form of human chin near the symphysis. The width of the protuberance regulates the form of the chin. • Close to the inferior margin of the mandible two mental tubercles are located on each side of the midline. Compared to women, the mental protuberance and the tubercles are more protuberant in men.